Pet Kiss Original Complete Oral Care Kit – PetKiss Inc.
Pet Pet Oral Care, made simple, effective and natural. 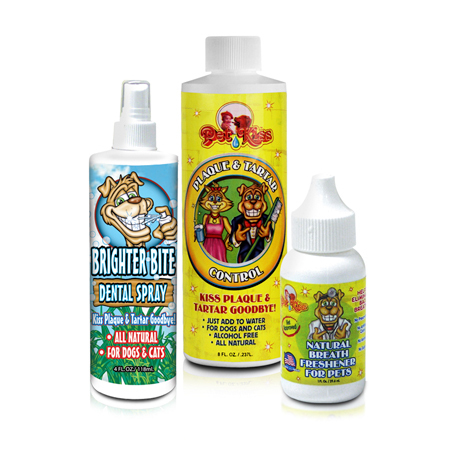 Pet Kiss dental products were developed to provide dogs and cats with the essential daily oral hygiene care they need. 2. Alcohol free. No brushing required.